When you are a child, being able to fly may seem as an unaccessible dream. At Indoor Skydiving Airspace you can offer your child the experience of a dream, to fly in our windtunnel in Charleroi. Discover our flight packs for your child with friends or for an unforgettable birthday party. Fearless, kids love new experiences. 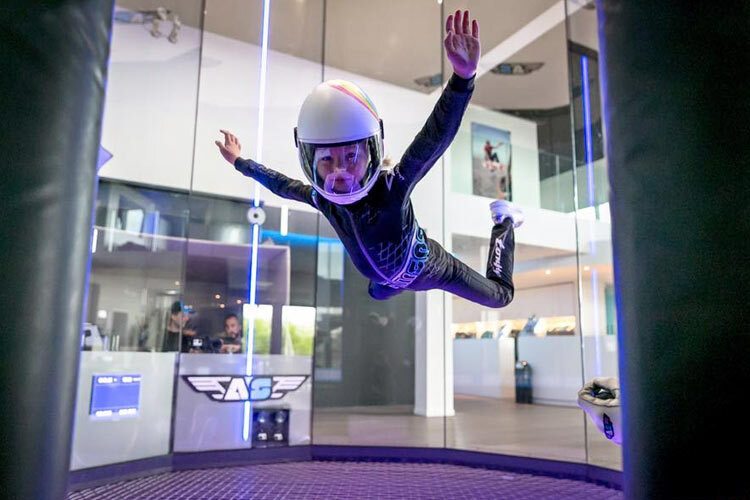 With Airspace Indoor Skydiving, you are sure to offer them an unforgettable experience that they will remember for a long time. 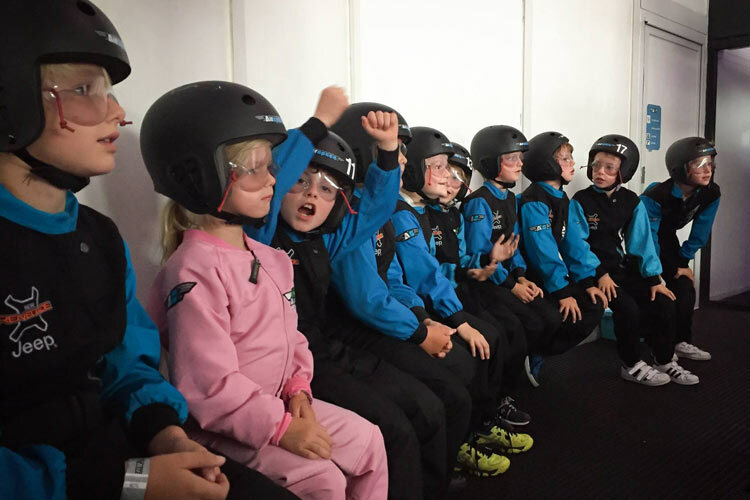 We offer them the unique opportunity to discover the sensation of flying in a safe environment an at a discounted rate thanks to our kids pack. Our kids Pack is destined to all kids from 4 to 12 years old under the supervision of an adult. Each child will complete two flights, equivalent of doing two skydiving free falls from a plane flying at 4000 meters. In addition to the two flights, a safety briefing will be carried out before the flight by the instructor. After the flight a demonstration by the instructor will be carried out to demonstrate flight acrobatics to prolong the magic of the experience. The cherry on the cake? A diploma that your child can proudly hang on the wall. Your child only wants one thing, experience the amazing experience of free fall? The demonstration by the instructor gave your child the desire to reach the same level? Because Indoor Skydiving is a sport, it is totally possible to teach your child the flight techniques necessary to progress in this very original activity. How to create a future Proflyer! Do not hesitate do ask for more information on our flight pack options. These flight packs are available to all kids that have already flown once. You wish to organize an incredible birthday party for your child? Invite minimum 5 friends and celebrate like never before. We offer a pack specially for kids groups, the flying B-day pack. In addition to the flight pack they all receive their photos and videos as well as a drink at our bar. You can also order a birthday cake for 25€ serving 8 till 10 persons. Order it via our contact form!